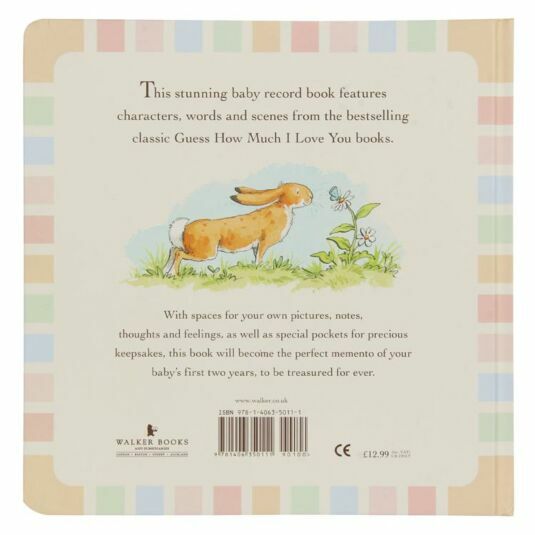 This large baby book is based on the story ‘Guess How Much I Love You’. 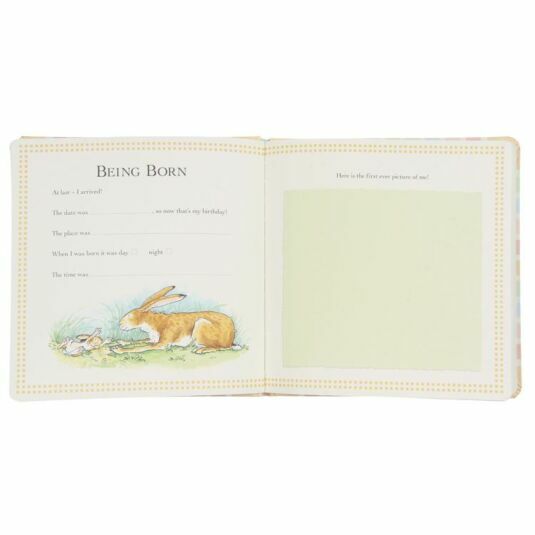 The wonderful book allows you to record your baby’s journey into the world, beginning during pregnancy with space for scans, bump photos, name ideas and food cravings, all the way up to the child’s second birthday, featuring a height chart, as well as space for “crayon experiments” and party photos. It also contains special envelope pockets for locks of hair and name bracelets. 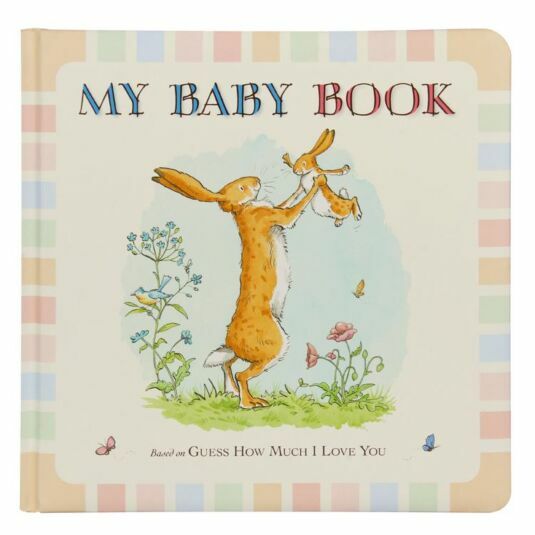 This book measures 25cm x 25cm.